MU had its best year in recent history hiring faculty of diverse backgrounds, but it still hasn’t reached its goal of having 10 percent of the faculty come from underrepresented minority groups, UM System President Mun Choi and MU Chancellor Alexander Cartwright said on Monday at a hearing of the Missouri House Special Committee on Urban Issues. 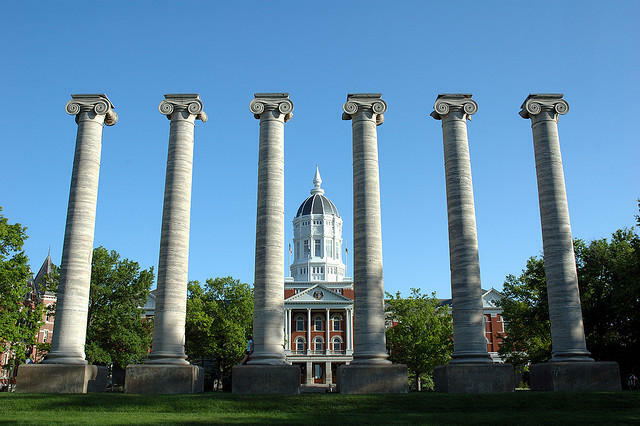 In 2017, MU hired 17 African-American and Hispanic faculty members, who made up 33 percent of the total hiring pool, Choi said, calling it “by far the best year Mizzou has had in terms of diversity hiring in the recent past.” He said currently 3.7 percent of MU’s faculty is African-American and 4.5 percent is Hispanic. MU also saw a 35 percent increase in applications from minority students, Choi said. “We are making a marked improvement in the diversity of our students and our faculty members,” Choi said, adding that there was still work to be done. Cartwright said MU has a goal of having 10 percent of its faculty come from underrepresented minority groups over the next few years. “Part of student success is making sure we can teach from different backgrounds,” Cartwright said. MU also has goals of raising the freshman retention rate from 87 percent to 93 percent and raising the four-year graduation rate from 47 percent to 53 percent. Cartwright cited the university’s decision to pay the full tuition of all students eligible for Pell Grants as a move in the right direction. Committee Chair Rep. Courtney Allen Curtis, D-St. Louis, said agreeing to pay the full tuition of all students eligible for Pell Grants was nice but seemed like a public relations move considering the drop in minority students enrolling at MU after protests over racial issues on campus in 2015. Cartwright said one issue students have is worrying about paying bills, which keeps them from focusing on school. Vice Committee Chair Rep. Dan Stacy, R-Blue Springs, shifted the subject to ask Choi his position on “safe spaces” on campus. He said he agrees with the University of Chicago’s anti-safe space statement it issued before the 2016 school year. The university’s dean of students, Jay Ellison, told the incoming freshman class that “safe spaces” and “trigger warnings” went against the university’s principles of academic freedom. “The university is where our concepts, whether it’s a concept I hold, or a concept a student holds, will be challenged, but it’s going to be challenged in a respectful way,” Choi said.